First time outta the little salmon. Spent both days in front of the nuke plant between 70- 180 fow.. Marked one fish the whole time on my antique garmin 240 blue. Landed what i believe is a five pound coho over 180fow on a brown trout stinger attached to a 7 color core , then had a small steelie to the boat off a 250 ft dipsy five minutes later when my net ripped the chicken wing out of his mouth. Greenhorn move. Picked up three lakers down fifty while working south towards the stack. One on a huge no name wonderbread pattern on rigger. And other two on a yellow and black kranxs spoon behind the seven color . One went 18 lbs that my girl caught (biggest ever on my boat) and is going on our wall next to my buck i get to go pick up next week. 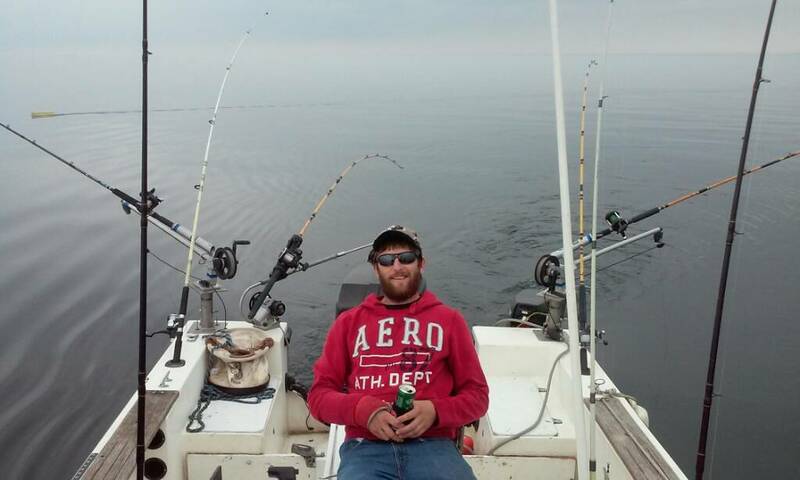 Had alot of fun, be back next weekend out of Oswego to try again for my first king. 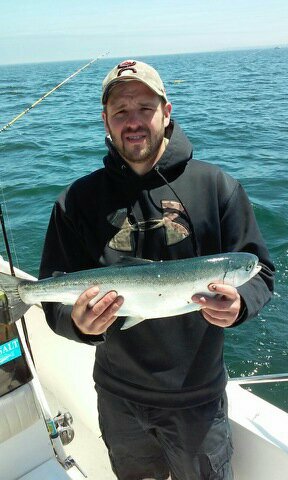 That fish you are holding is steelie, not sure if that is the fish you think is a coho. Congrats on a great outing. Should i head back to the plant from Oswego this weekend, or should i go left? .. I catch enough lakers out of lake george and Champlain and really want a king. I put my all downrigger balls in it. I carry a bunch of extras because my home lake is all rocks and cliffs and have lost three in two hours before.. I have very little storage space..
What channel is used most around the plant? I installed a uniden vhf radio and never heard a sound .. I used same antennae that the old cb was hooked to and was getting a weather alert channel in my driveway.. But got only stactic on the lake. Channel 6 is Oz, 68,69 and 78 will get you others also. Just put the radio on scan and you will pick up the most active channels. As far as next weekend, it all depends on the winds and weather this week. Ok. Ill try messing with it some more. I feel like something is wrong with it or its not hooked up right. Should always get a weather report correct? 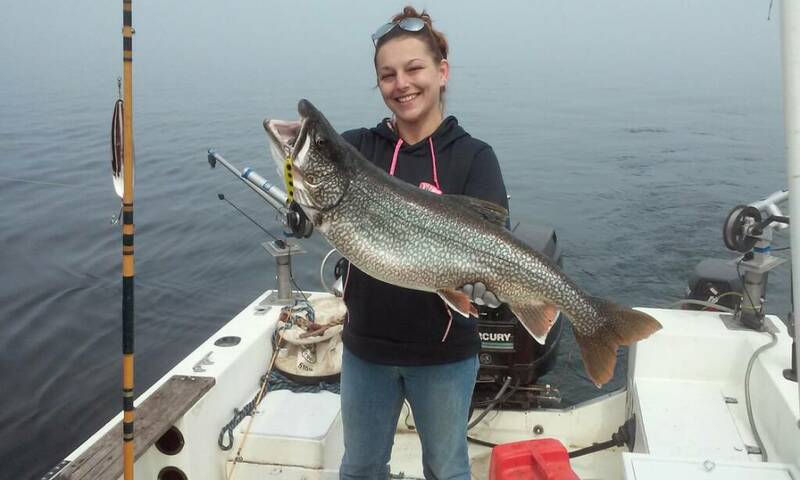 Man that is a nice laker and nice pic. 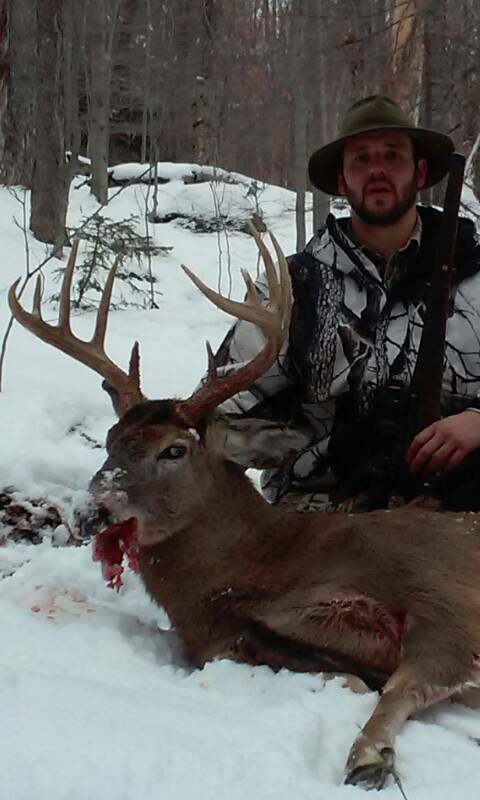 Of your buck. You will have a nice surf & turf display!!! Congrats on your day. Thank you pap! I know Lakers are not the most glorious catch but i am very proud of that fish and the lady holding it. Shes hooked for good now and cant wait to get back out. Thats wat i was leaning towards also lost a lure.. Im going to get a new antenna tomorrow. Yes you will Deff need a VHF antennae for that radio. Good Luck when you get back out!! Get yourself a good quality ant. If you can. They do make a big difference. Nice pics also. Nothing lowly about lakers. Many charters are on them to keep the business running. Thank you dan.. What are your thoughts on the smaller whip antennas? I have a very low bridge to get under where i spend most of my time . And are all vhf radios on the same frequency, or do they vary by radio model? I would get the tallest you can based on size of your rig and where you mount it. Put a fold down base for getting under low overheads. Not aware of frquency issues with radios and antennas. I got a Shakespeare 8' antenna from West Marine with the quick fold down base and I am very happy with it.. Talking to the salesman about radios and he told me when it comes to marine radios it's all about the Antenna because they are line of sight so the higher the better..